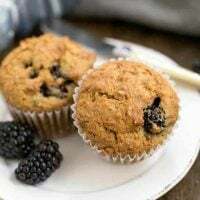 Studded with huge berries as well as enhanced with grated zucchini, sour cream and molasses, these Blackberry Bran Muffins are sweet, moist and tender. 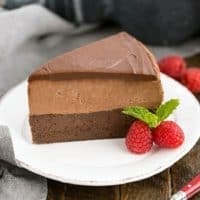 Perfect for a semi-healthy breakfast or snack! 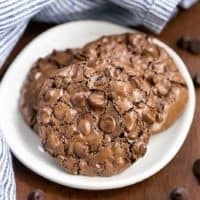 This post is sponsored by OXO, who again is raising funds to help fight childhood cancer through their annual Cookies for Kids’ Cancer event. Not to throw any particular family member under the bus, but I make bran muffins on a pretty regular basis. With grated carrots and buttermilk, they, too, are a tasty breakfast treat. 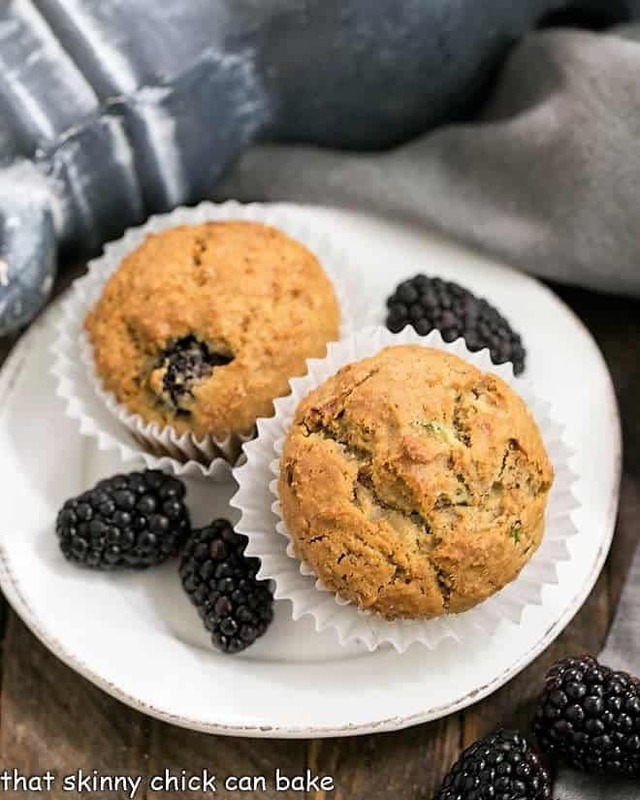 I knew Sarah Sanneh, co-owner and baker-in-chief of Pies ’n’ Thighs on the lower east side of New York City, wouldn’t disappoint with her blackberry bran muffin recipe. 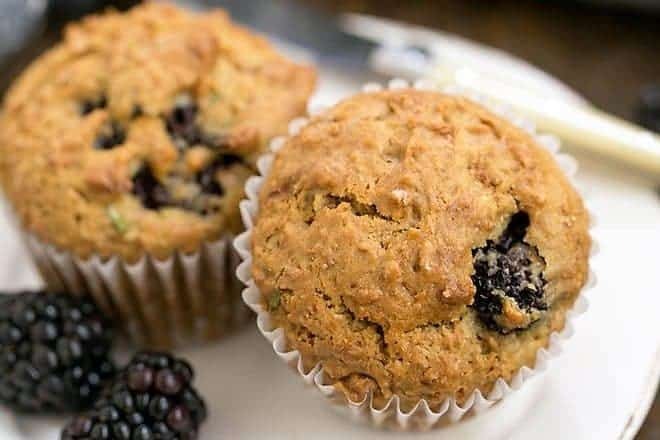 The sour cream makes these bran muffins rich and irresistible and the blackberries add pockets of juicy sweetness. Plus the bran adds some semblance of healthiness by adding whole grains and insoluble fiber. Muffins are a terrific homemade breakfast treat. They take very little time to bake and the variations are endless. Raspberry White Chocolate Muffins were the first muffins my husband ever fell for! Who wouldn’t love mini cakes to start the day? He was easier to sway when I offered him these savory Egg Muffins in Ham Cups! 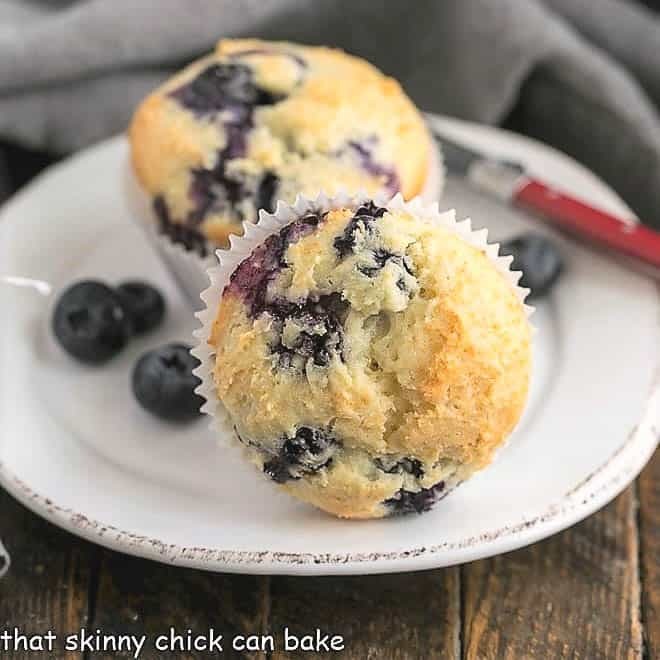 My daughter would love these Blueberry Streusel Muffins, and make sure to check out this blog post on How to Store Muffins properly. Glancing at this recipe, I was taken aback when I didn’t see eggs listed in the ingredients. I shouldn’t have worried as the baking soda leavened them perfectly. See, even a seasoned baker has much to learn. Here are some tips to help your muffins bake up perfectly. Make sure your baking soda has not expired. There is an expiration date on the box, so much sure to check it periodically. Typically, the dry ingredients are whisked (or sifted) together, then the wet ingredients are folded in just until combined. PRO-Tip: Over mixing your batter can cause your muffins to be peaked instead of rounded and have tunnels throughout instead of a consistent crumb. I like to mix with a wooden spoon or rubber spatula and mix only until the ingredients are combined. Never use an electric mixer. My blackberries were huge, so I’d recommend cutting them in half if yours are also large. This recipe would also work with other berries, like plump seasonal blueberries or raspberries. Mix them in gently so they don’t bleed (though your batter may discolor if you elect to cut your berries). Use a quarter cup cookie disher to evenly divide the batter into the muffin tin. These muffins don’t rise a lot, so you can easily use a scoop per slot. I’ve supported OXO’s campaign to raise funds for fighting children’s cancer over the years. As a former oncology RN, this cause is near and dear to my heart. If you’d like to help, consider hosting your own Cookies for Kids’ Cancer bake sale. Just register online, and if you indicate that you were inspired by OXO to register, they will match the proceeds from your bake sale! I used the following wonderful OXO products to bake up these bran muffins. OXO kitchen tools make it easier and simpler to bake! 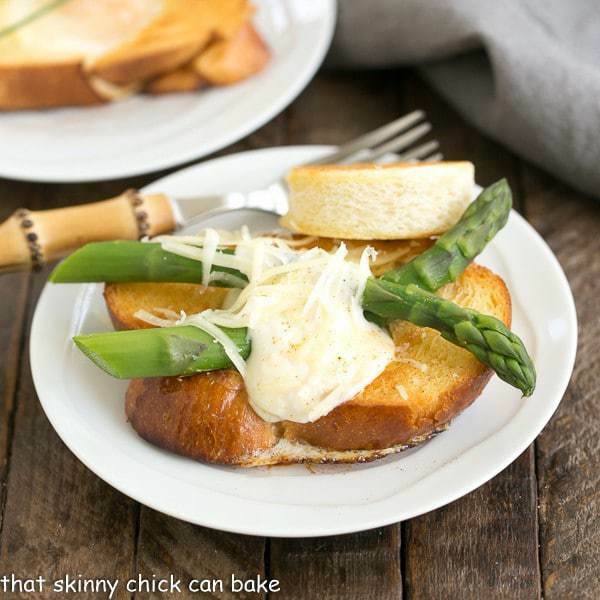 Non-Stick Pro 12 Cup Muffin Pan – Clean up with this sturdy, non-stick pan is minimal. Any baked on specks of batter come off with minimal effort. Box Grater – This grater is a gem. With an attachable container for catching, measuring and storing the freshly grated food, it’s also dishwasher safe. 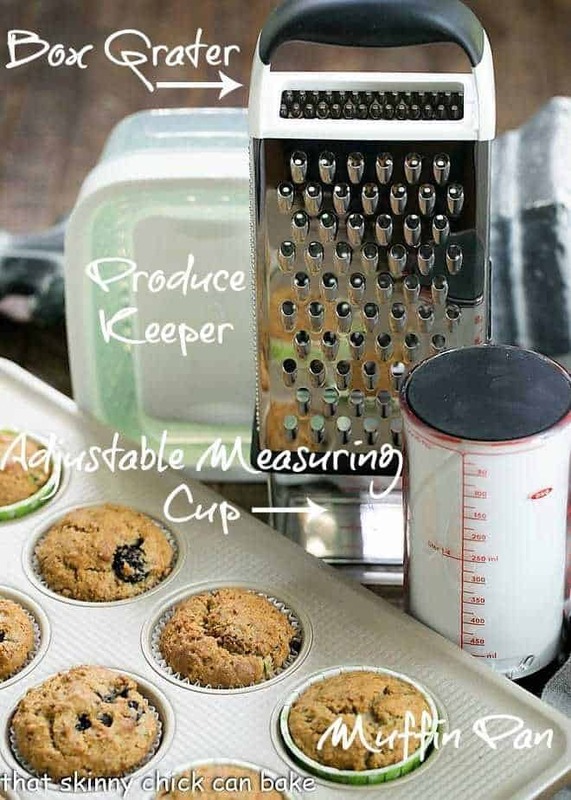 1 Cup Adjustable Measuring Cup – You can easily measure dry, solid and liquid ingredients with this one tool! Such a genius kitchen gadget. GreenSaver Produce Keeper – With an adjustable vent, elevated colander and carbon filter, this produce keeper prolongs the life of your fruits and vegetables. This is especially useful for quick to spoil fruit like blackberries, raspberries and strawberries. 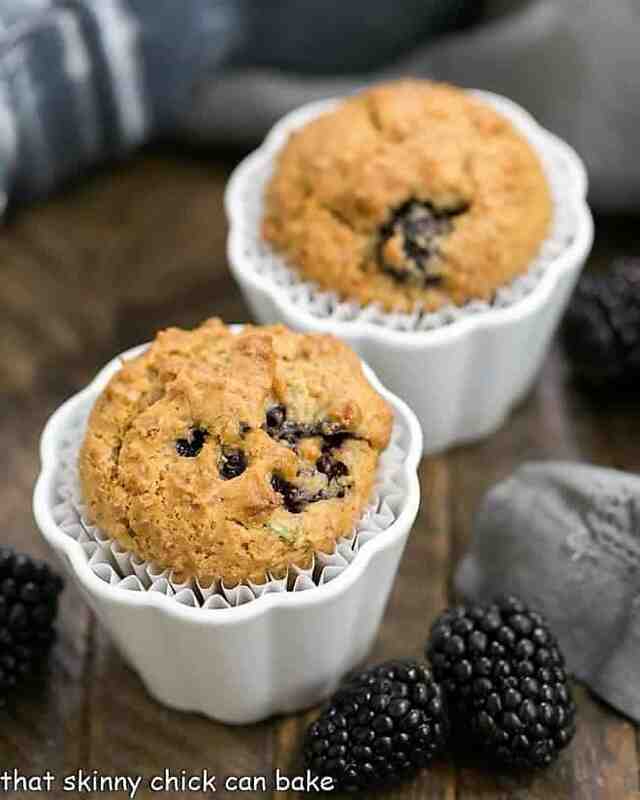 Tender bran muffins studded with ripe fresh blackberries! Preheat oven to 350 degrees. Line two muffin tins with paper cupcake liners. Whisk together flour, baking powder, salt and bran together in a large bowl. Mix melted room temp butter with light brown sugar, molasses, zucchini, and sour cream. Mix wet into dry and gently fold in blackberries, trying to keep them from bursting, just until combined. Fill a muffin tin with batter and bake for 30 minutes or until a toothpick inserted in the middle of the muffin comes out clean. Recipe courtesy of Sarah Sanneh. Thump… thump… poor Bill:@) These sound very tasty and I would definitely enjoy one with my java this morning! Black berries are getting expensive lately…wish I had stored some! These muffins look fantastic. They look very nice and they must taste so well! A great cause and a delicious looking cookie. 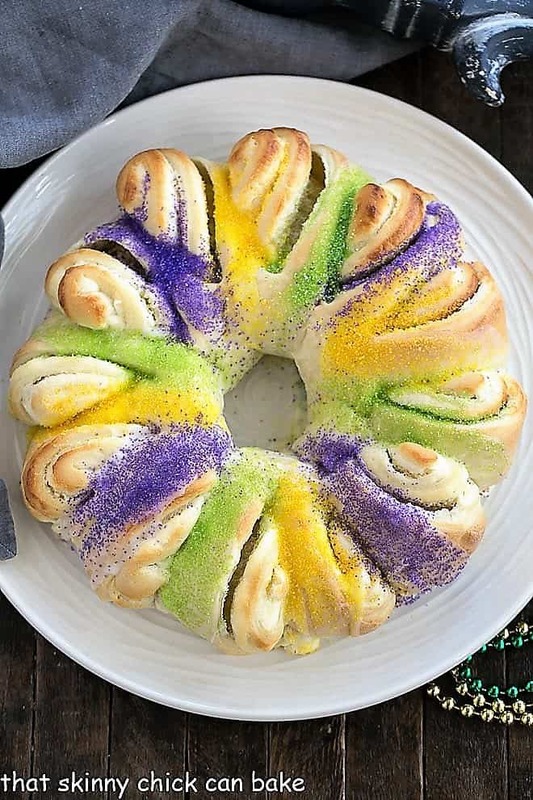 Oh wow, I would love to start my morning with a batch of these! 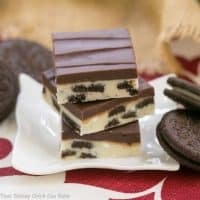 awesome recipe made by you. 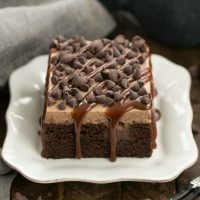 Thank you for the amazing post..
Like this recipe as well as your tips. Any kind of Bran muffin works for me and this seems especially tasty. I like to make a batch of breakfast muffins and then stick them in the freezer to take out 1 or 2 at a time. Good for you for helping raise research funds for this heartbreaking disease. Such delicious muffins, just what I’m craving with my morning coffee! Of all the berries, blackberries are my favorite. Oddly, I don’t bake with them often but would love to give these muffins a try.